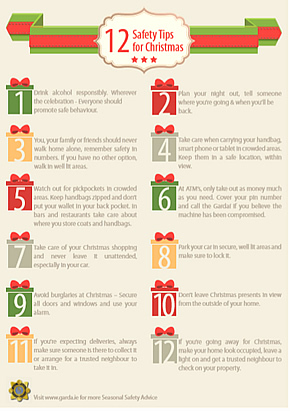 An Garda Síochána has provided seasonal safety advice to help people enjoy a safe and happy Christmas. 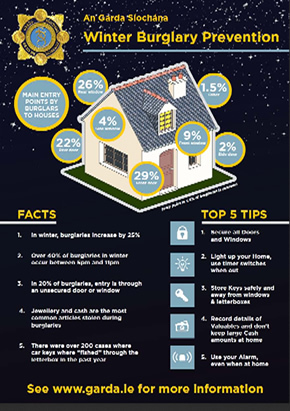 The dark evenings in the run up to Christmas unfortunately result in an increase in the number of burglaries nationwide. In winter, burglaries increase by 25% and over 40% occur between 5pm and 11pm.